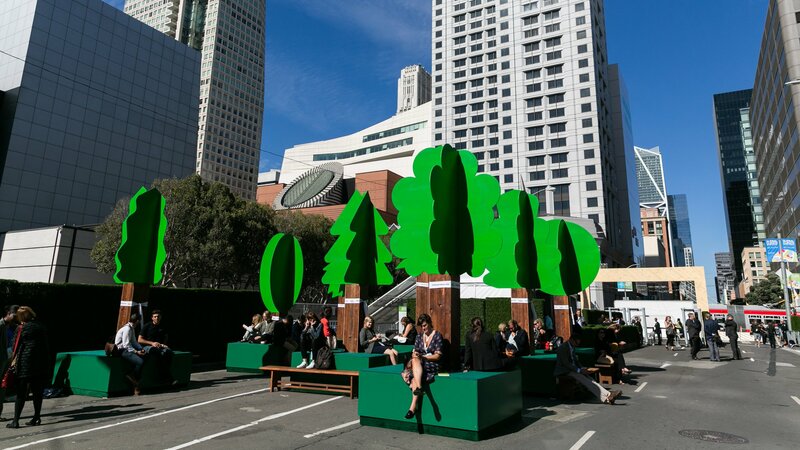 From 12-14 September, over 4,500 participants gathered in San Francisco, on the east coast of the US, for the Global Climate Action Summit convened by California Governor Jerry Brown. The aim of the summit was to foster bold climate action among non-state actors against the backdrop of national plans that are currently unable to meet the Paris Agreement target of keeping global temperature rise well below 2 degrees Celsius, and pursuing efforts to limit it to 1.5 degrees. 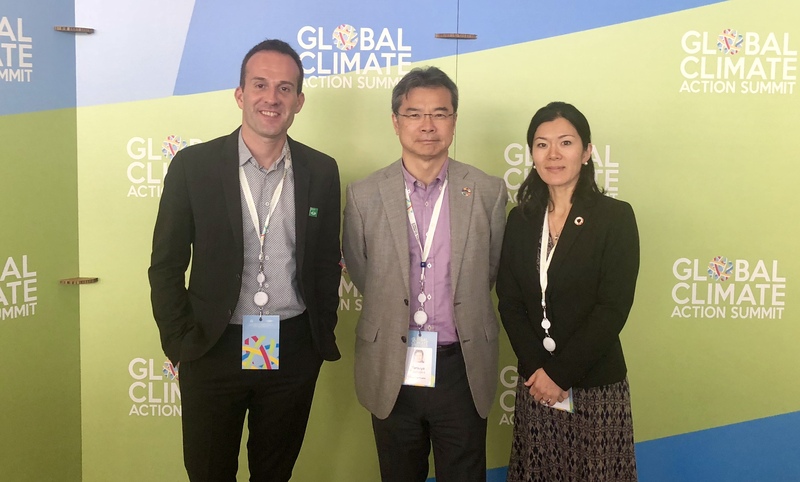 A Peace Boat and Ecoship delegation took part in the summit to showcase the commitment of Peace Boat in the fight against climate change. “The climate crisis calls for urgent action. We have seen the human impact on health, disease, famine, conflict, refugee crises, and livelihoods,” the declaration reads. “We have seen thousands of people die each year from worsening storms and floods, heat waves, droughts, and wildfires. These impacts disproportionately affect the poor, disadvantaged, and vulnerable. 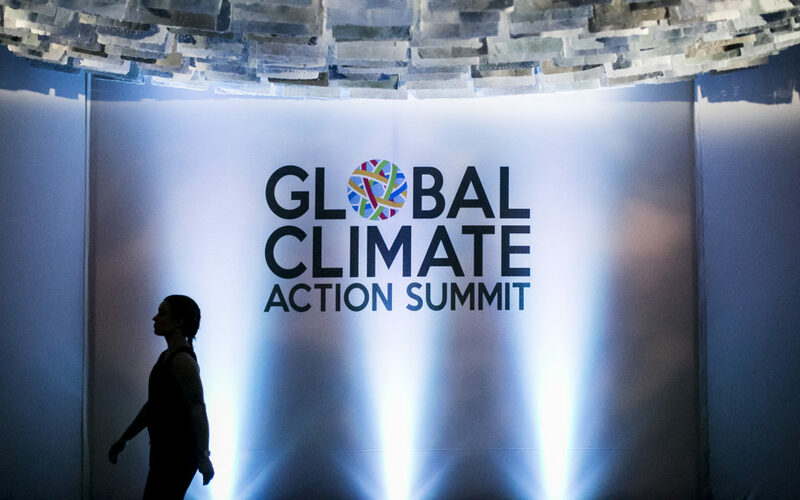 We dedicate our actions, commitments, and determination to give national leaders the confidence and assurance needed to increase their ambition and accelerate climate action by 2020 for the security of our planet, now and for generations to come,” it adds. The meeting of leaders from states and regions, cities, business, investors and civil society underlined the transformational action they are already pursuing. Over 100 leaders, for example, are now committed to carbon neutrality—or removing as much carbon dioxide from the atmosphere as they emit with the Governor of California bringing the date forward for his state achieving this to 2045. 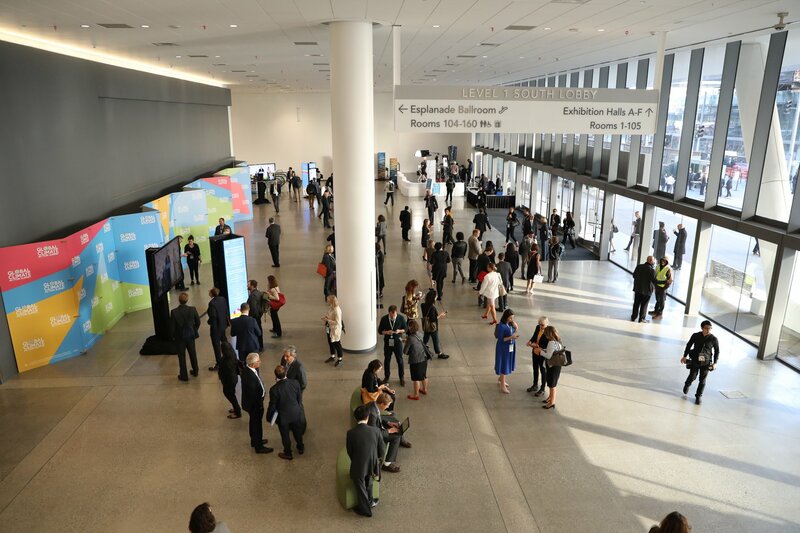 Leaders also unveiled a range of bold new commitments across five specific challenge areas aimed at taking their collective ambition to the next level. Peace Boat commited to building Ecoship, both a call for and an example of action on climate change and is a key part of Peace Boat’s commitment to the Climate Agenda. Ecoship is a 60,000 ton, 2000 passenger capacity nature-inspired vessel which will sail as a flagship for the SDGs and climate action. Ecoship will amplify our message and be a catalyst for inspiration and change towards our sustainable future. The ship seeks to mitigate climate change and ocean acidification and features hybrid propulsion including solar and wind power, zero NOx and SOx emissions, biophilic design for enhanced comfort and 40% cut in CO2 emissions. 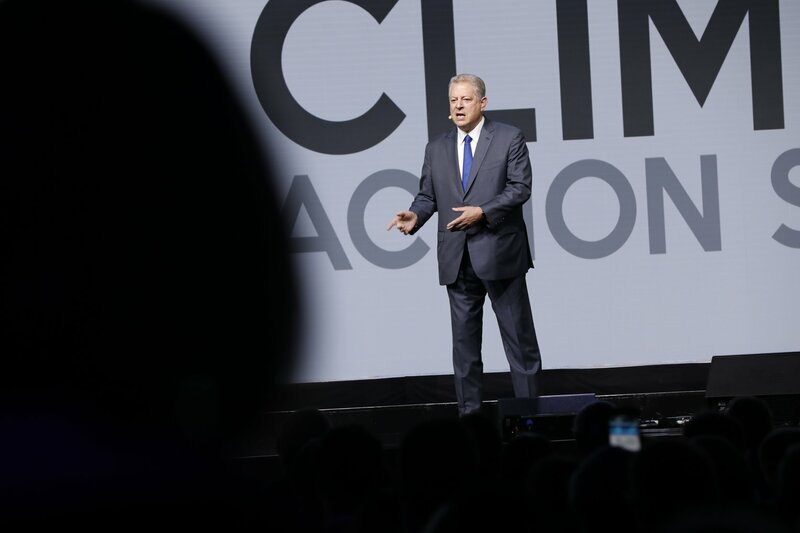 The announcements during and prior to the Global Climate Action Summit are helping realize this promise that will, in turn, support the achievement of the Paris Climate Change Agreement now and over the years and decades to come.